One of the toughest parts of roof replacement is choosing a material to use because there are so many options available on the market. You can simplify your selection process by looking for three essential features: beauty, durability, and energy efficiency. Rogers Roofing can give all that in one installation with our metal roofing in Schererville, IN. 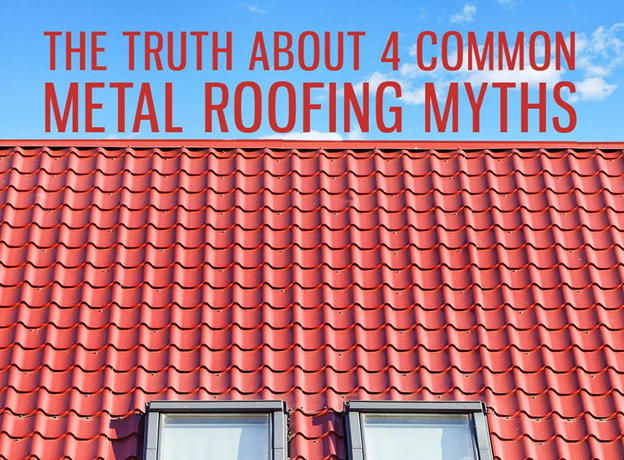 Myth #1: All metal roofs share the same unattractive look. This may have been true a few decades back, when manufacturers produced metal roofs with plain, corrugated panels. These days, however, metal roofing is available in many colors, styles, and textures to complement the needs of any structure. You can even go for a stone-coated look to match your traditional home, while enjoying the benefits of metal. Myth #2: Metal roofs are prone to lighting strikes. Although metal is a good conductor of electricity, it doesn’t attract it in any way. Metal is actually safer than other roofing materials, because unlike wood, it is non-combustible. Myth #3: Metal roofs are noisy in the rain. Did you know that metal roofs could actually be even quieter than asphalt shingles? With proper installation and insulation by an expert roofer in Chicago, they can reduce noise from hail, storms, and rain better than other materials on the market. Myth #4: Metal roofs make homes colder in winter. Roofing materials don’t affect the temperature in your home. It’s all about how effective your insulation is. If you have poor insulation, you’ll experience colder temperatures inside your home, regardless of the material used for your roofing. There are many reasons to install metal roofs today. They are beautiful, versatile, and strong. They also contribute a lot to creating a greener environment due to their energy-saving benefits. As one of the premier roofing companies in Northwest, Indiana, Rogers Roofing recommends metal roofs. Our experts can install these for you professionally so you can enjoy their amazing benefits. To get started, simply give us a call at (219) 228-8210 or (773) 492-2270. You can also fill out our form to get a FREE estimate. We look forward to working with you!